Chocolate brownies with Andes Mints! The brownie recipe is from here. I found it with a quick google search when I realized the pumpkin bars I wanted to make weren’t going to happen due to lack of powdered sugar. Due to making buttercream frosting on Friday, I had 2 cups of 4 cups needed and no funds to buy more. So those will have to wait. 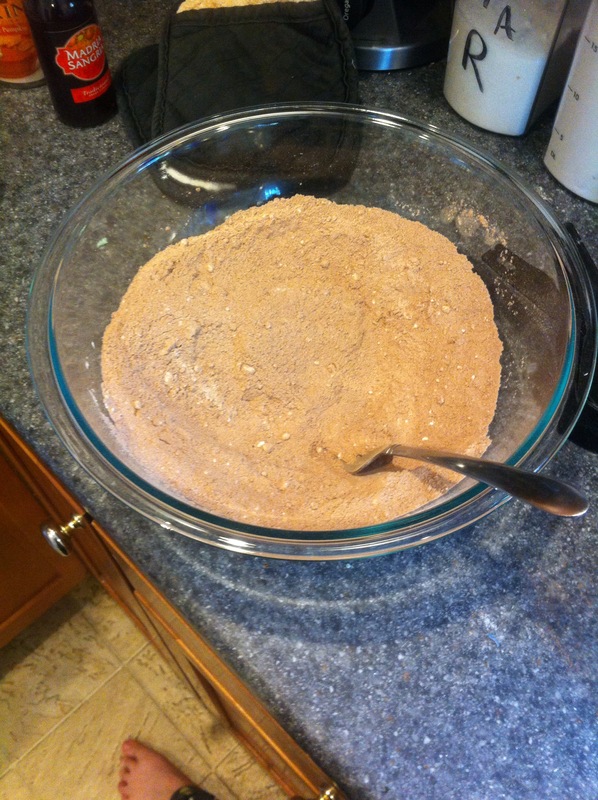 First you take all your dry ingredients and put them in a bowl – sugar, cocoa, flour, salt, baking powder. 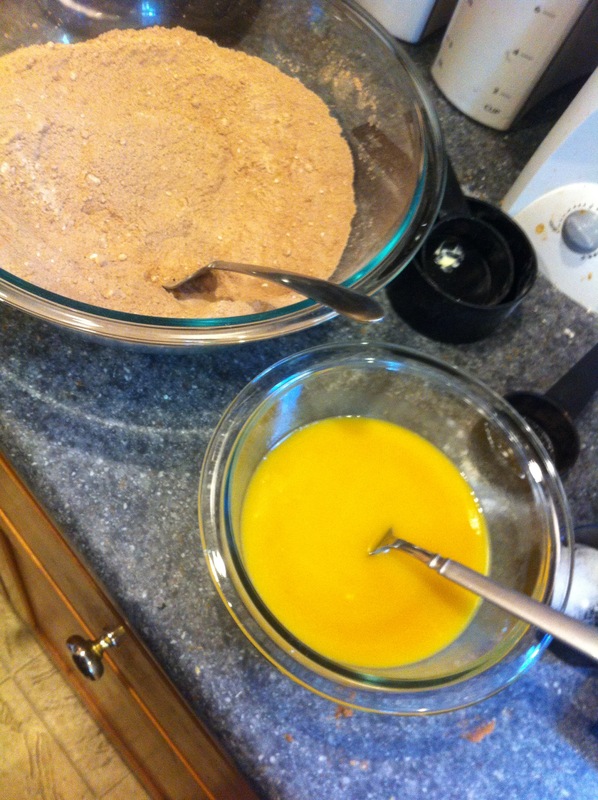 Then you take your wet ingredients and put them in their own bowl – eggs, vanilla, water, melted butter. Mix. Add the two together, mix well. 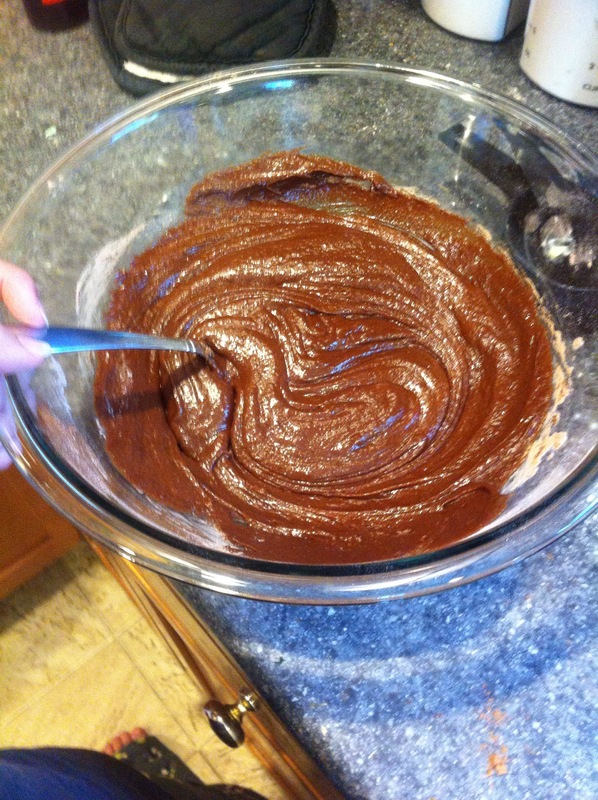 Now you have brownie batter. 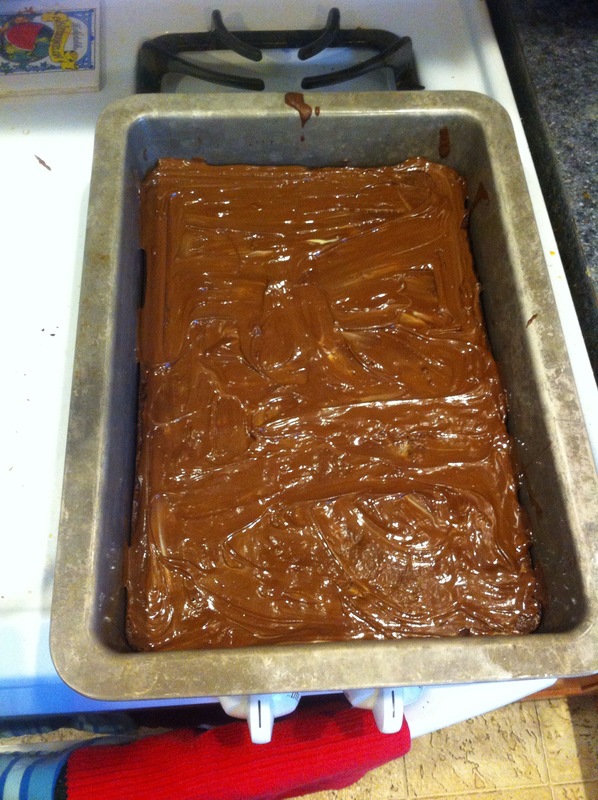 And don’t eat it all now, you’ll need it for brownies! Even tho it is delicious! Put in in a greased 9×13 pan, and in the oven at 350*F for 18-25 minutes. I started at 15 min, and was done at 18min. Your oven may vary. 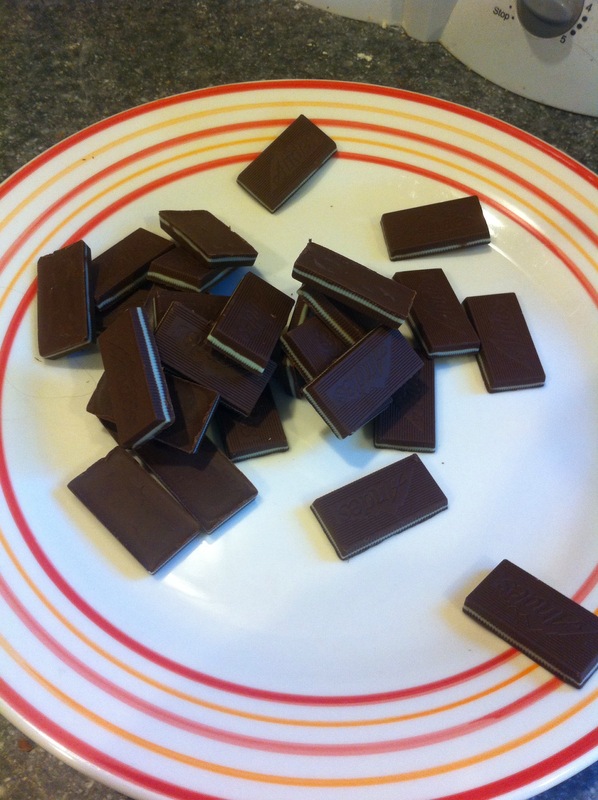 While thats cooking, take a box of Andes mints and unwrap them all (DO NOT EAT!) and put them on a plate. I made them all not on top of each other later, but did not take a picture. 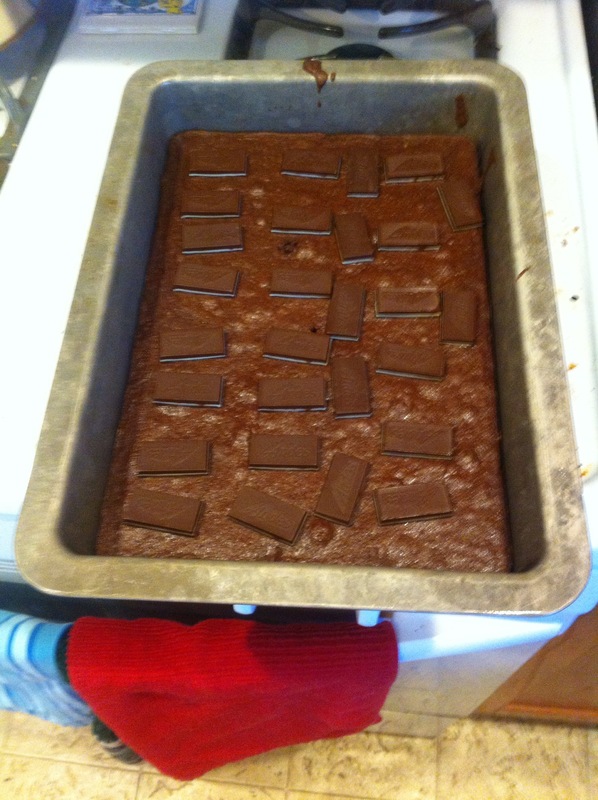 Once brownies are done, take out of oven and IMMEDIATELY put the Andes mints on top. You want them to melt. 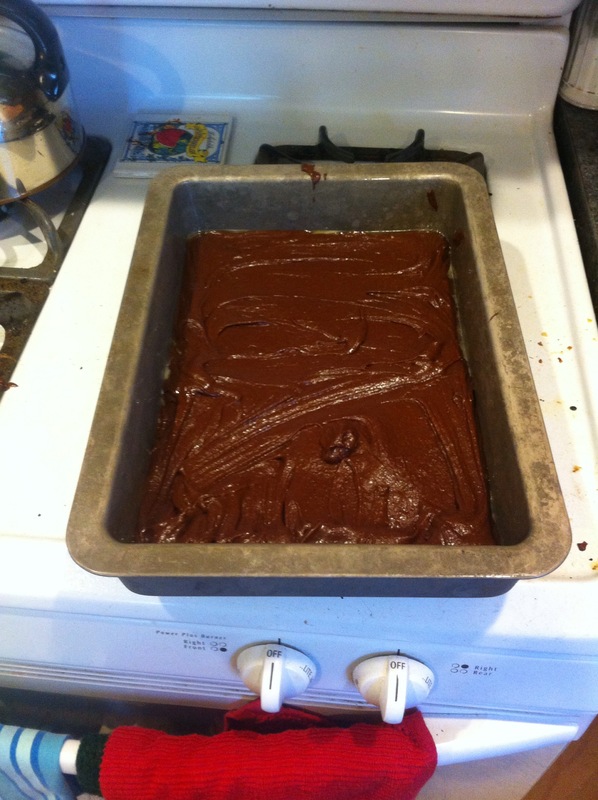 Let sit there for a bit – 5-10 min then smooth out and cover the entire top of the brownies.